Squirrel was spotted making a leap for freedom. A plucky squirrel narrowly escaped the clutches of a deadly bird of prey as it risked its life by jumping to safety. The captured the incredible moment the squirrel made a desperate leap of faith and evaded its deadly fate. 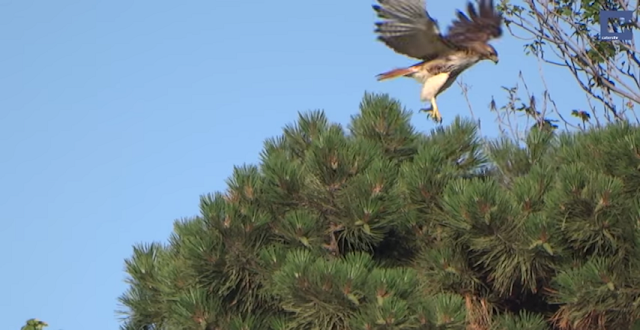 The battle between predator and prey took place in Jersey City in New Jersey. 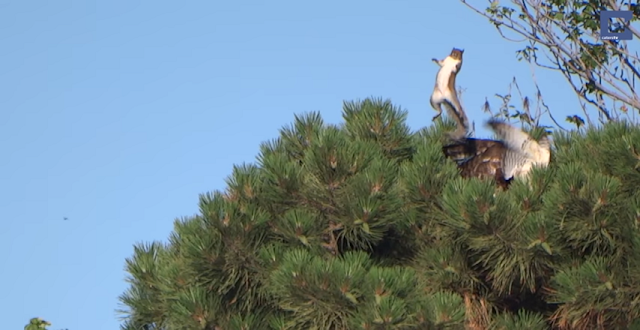 Using incredible ninja-like reflexes, the squirrel narrowly escaped becoming the bird’s next meal. In the video the hawk can be seen scouring the tree canopy for its prey, jumping from branch to branch to get a better look. Suddenly the bird dives out of sight into the leaves to grab the squirrel. But the squirrel launches into the air, arms and legs splayed as it jumps over the unsuspecting hawk and lands further down the tree to safety.